His books making the case for Christ and the Christian faith have sold more than 14-million copies. 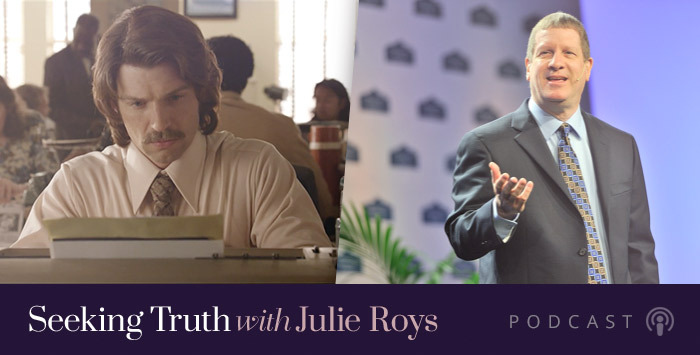 And now the story of Lee Strobel, the atheist reporter-turned Christian apologist, has been made into a feature film that will hit theaters in April. I had the privilege this week of being the first journalist to screen The Case for Christ and then interview Lee about it. I was surprised by how personal and raw this depiction of Lee’s life is. It doesn’t just depict his intellectual journey to faith, but shows his intensely emotional journey, as well. I thoroughly enjoyed discussing the movie with Lee, someone I’ve known for nearly 30 years — and despite his success, hasn’t changed a bit.